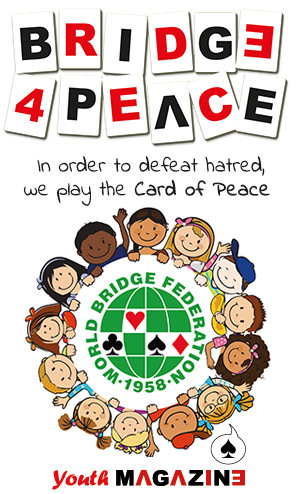 Four times a year, in March, August, October and December, Simultaneous events have been introduced to support Youth Bridge – the World Bridge Federation is committed to the development of Youth Bridge – the future of our wonderful game – please click here to read more about how the WBF wants to support Youth Bridge. To enter, all clubs need to do is email Anna Gudge and tell her which day they wish to play and confirm the name of the club, the country and the name and email address of the person to receive the zip file. The file will be sent out about a week before the event.